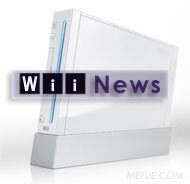 From the Wii News Files, 3 Short Takes on Nintendo News and Gossip. i. Talking storage and hard drives. ii. A Fuji Film partnership. And iii. an unlikely patent filing getting misrepresented in the rumor mills. Nintendo has been a trend setter in the gaming world. While competitors focused on horsepower and graphics engines, Nintendo put the emphasis on playability. While competitors catered to core audiences, Nintendo engaged the masses. They’ve focused on accessible games and innovated in an otherwise stagnant paradigm of user controls. The strategies have paid off. The Wii recently became the top selling console in the U.S. But behind the high demand, there’s one trend Nintendo has neglected to its own disadvantage: storage. Unlike the Xbox and PS3, which have continually upgraded their offerings with bigger and bigger hard drives, the Wii doesn’t offer any. Instead, Nintendo has relied on limited flash memory (512mb) and SD card slots which are best suited for limited backup. In an era of increasingly common downloadable content, an era where game consoles are taking on central entertainment services beyond just game play, the Wii is lacking. For gamers, that means downloadable songs for the Wii versions of Rock Band, or Guitar Hero, are not really possible. It means the full networked functionality of games like Mario Kart fall short of their potential. Only limited content can be brought down for local storage. Titles also can’t take advantage of network service to be upgraded. That means the promise of ‘dynamic games,’ games that use the network to update themselves and expand can’t be delivered. EA’s digital DNA concept, for instance, can’t be Wii bound. Nintendo’s admitted the storage shortcoming is an area that needs attention. They’ve said they are working on a number of possible solutions (at least some of which, it is presumed, will be retroactively applicable to the installed customer base). Nearly irrelevant to some, urgent to others? Sounds like an internal debate is waging. For now, no promises are being made, no delivery deadlines have been hinted, but this is an area to watch. It wouldn’t be a surprise if by the next Consumer Electronics Show, or even in time for the holiday shopping season, if Nintendo introduced some form of auxiliary storage. That could be a stand-alone USB hard drive bay, or an online storage vault ‘in the cloud’ to work in tandem with the existing flash storage or maybe something else. Whatever it will be, bet a solution will come – even if contrary to prior corporate statements. Downloadable content and network related services are trends Nintendo can’t ignore and storage is a necessary ingredient to make those a full-fledged reality for the Wii. Demonstrating a gaming console’s continued ability to serve alternate purposed, Nintendo and Fuji Film announced a partnership that will allow Wii owners to upload digital images through their console to a Fuji powered print-on-demand service. Customer’s participating will be able to order prints, digital books and other items made from the images. Fuji will handle fulfillment and deliver the goods by mail. Initially the service is launching in Japan only. It’s available immediately. There’s no word if the service will see a wider global roll out, or if Nintendo will consider partnering with similar services like Shutterfly at some point in the future. Like BBC TV via the Wii, and other offerings, it is clear Nintendo is more than willing to explore other ways their hardware can be used. A challenging video game has been known to raise the heart rate and crank up the blood pressure. In the not too distant future, some are speculating the Wii remote might be able to indicate by precisely how much. The web chatter stems from a recently discovered patent application filed on January 17, 2007 (and made public earlier this month). First reported on gaming website Spong, the application (#20080171596) describes a Wii remote with either an embedded sensor, or an attached wrist strap, capable of monitoring and reporting body temperature, pulse or even blood pressure. Across the blogosphere, reports and comment fields have been alive with expectation this will be made. That should be corrected. As with any patent filing, production of the device may never occur and in this case, odds are, it won’t. The original Spong report was titled “Now the Wii Wants Your Blood Pressure.” That appears to have misled many to incorrectly report the patent application was filed by Nintendo. Contrary to those reports it wasn’t. The patent application was actually filed by a Mr. Kent T.J. Hsu of Taiwan and was assigned to Asoka, Inc., a contract manufacturer that specializes primarily in home networking equipment. It appears Mr. Hsu is an employee or researcher there. Since 2002, Mr. Hsu has filed at least three other patent applications that address gaming controllers. One described a possible portable power supply for a Sony PS. Another described game controllers with onboard LCD’s and a third: more battery technologies. None of these patents appear to have been granted or implemented. Two other elements further decrease the likelihood of the invention ever being made. First, Mr. Hsu doesn’t appear to have any affiliation to Nintendo. Moreover, the patent application is not limited to video game controllers. In fact, the pulse sensing apparatus is also enumerated as being applicable to golf clubs, tennis racquets, ping pong paddles, fishing rods, baseball bats, badminton rackets and steering wheels. With that breadth, it would appear Mr. Hsu’s patents are little more than Intellectual Property “land grabs” aimed at capturing patent space that might have future value to other companies willing to pay for the priviledge of manufacture. Certainly, it’s possible Nintendo could be one of those companies. Nintendo conceivably could be interested in licensing the concept if a patent is actually granted. A pulse sensing Wii remote would fall into the mold he’s calling for. It would be a natural extension of the Wii fit. Still, don’t count on Nintendo making Mr. Hsu’s concept a reality anytime soon. The pulse sensing golf club might be more likely.